Reassuring to know that while the English national team continues its club-footed stumble from pillar to post, Germany have gone and ring-fenced their enviable stability for another four years. Joachim Löw has signed a new contract extension with the German Football Federation (DFB) that will see him remain as coach of die Mannschaft until the end of Euro 2020 at the very least. 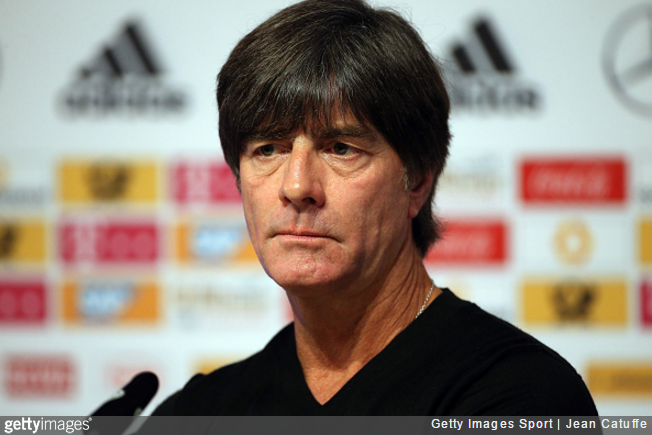 As if mirrored by his unerring choice of sweater, Löw has become a symbol of Germany’s enviable consistency over the years. Appointed as part of the DFB’s root-and-branch modernisation of their footballing infrastructure in 2006, Löw swiftly went on to win the World Cup while maintaining and organising one of the most effective, exciting and talented group of players ever assembled.